As the population in La Carpio has grown older, we have seen and met the need to work with high school and older teens. One of the important ways to do this is through the sponsorship of teams of both males and females. By being part of a team, youth learn many skills that are important in life and, perhaps more importantly, see their coaches and coordinators as partners in their growth as humans. 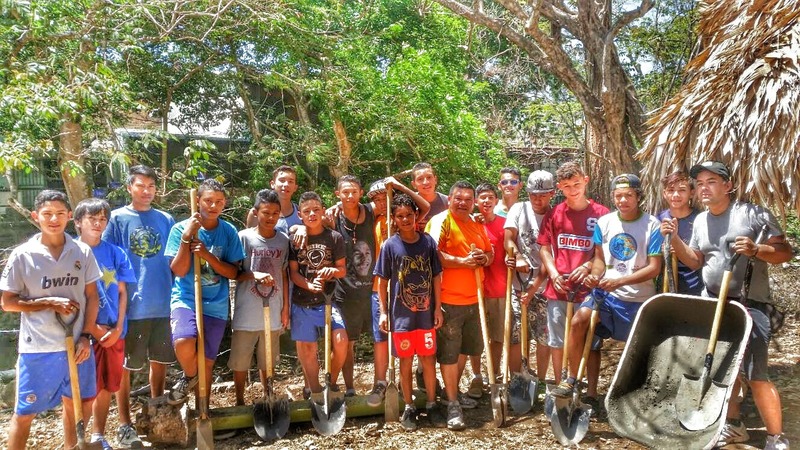 Some of the boys who are part of the soccer league help build a fence around the FInca. The Foundation has provided medical care for all the team members, transportation to and from games, presence at the games, equipment and uniforms and celebratory activities at the end and beginning of the season. Our teams now play in a league organized outside of la Carpio and have been able to hold their own against groups of youth with much better infrastructure and parental support.